Section 31 of the 1956 Act empowered a company to alter its articles by passing a special resolution. The power, however, was subject to the provisions of the 1956 Act and conditions contained (if any) in the memorandum of the company. As per the provisions of section 31 of the 1956 Act a public company could be converted into a private company. Such conversion, however, was subject to the approval by the Central Government. Moreover, any alteration made pursuant to the fulfillment of the requirements of the memorandum of the company and the provisions of the 1956 Act was to have the same effect and validity as if it were originally contained in the articles of the company and it could also be altered in future by following the same procedure of special resolution. In case the alteration was approved by the Central Government, the 1956 Act required the company to file a printed copy of the altered articles with the Registrar within a month from receiving the order of approval from the Central Government. Section 31 of the 1956 Act was, on the recommendation of the Company Law Committee, was amended by the Companies (Amendment) Act, 1960, and subsequently, proviso to section 31(1) and 31(2A) were inserted. The proviso to section 31(1) of the 1956 Act made it mandatory for a public company altering its articles with a view to converting itself into a private company to have such alteration approved by the Central Government. Section 31(2A) of the 1956 Act provided that such altered articles and Central Government approval be filed with the Registrar. Section 14 of the 2013 Act provides that a company may alter its articles by passing a special resolution subject to the clauses mentioned in its memorandum and the provisions of the 2013 Act. The scope and limits of the power of alteration of articles, is discussed in the context of English case law and Indian case law on s. 31 of the 1956 Act and is available in the heading “Scope and limits of power of alteration” under the broader heading “Analysis of Relevant Provisions of Companies Act, 1956 vis-a-vis Companies Act, 2013” below. Articles of Association of a company are binding on all the members and whenever a person becomes a shareholder, he is deemed to have agreed to comply with the provisions of the articles. That is the reason why s. 14 of the 2013 Act [corresponding to section 31 of the 1956 Act] provides that any amendment to the articles has to be by way of special resolution to ensure that the alteration has the approval of at least 75% of those present and voting for the resolution. Clauses (a) and (b) in s. 14(1) of the 2013 Act expressly state that a private company may be converted into a public company and vice versa by altering its articles of association. Section 31 of the 1956 Act only mentioned the conversion of a public company into a private company and not vice versa. Section 14 of the 2013 Act is subject to two provisos. As per the first proviso to s. 14(1) of the 2013 Act, in case of a private company altering its articles in such a manner that the articles do not include the restrictions and limitations which are required to be included in the articles of a private company under the provisions of the 2013 Act, the company shall, as from the date of such alteration, cease to be a private company. This is a new provision introduced in the 2013 Act. The 1956 Act did not specifically address the conversion of private company into a public company by altering its articles, though private companies could under section 31 of the 1956 Act to alter their articles by special resolution. As per the second proviso to s. 14(1) of the 2013 Act in case of a public company altering its articles to become a private company such conversion can take place only with the approval of Tribunal [Central Government under the 1956 Act]. It must be noted that this proviso has not been notified as on the time of going to press. Under the 2013 Act, a copy of the altered articles will have to be filed with the Registrar. This would cover alterations made by articles of private companies as well as public companies. In the event of a public company altering its articles to convert itself into a private company, in addition to the altered articles and a copy of the order of the Tribunal approving the alteration will also have to be filed, within 15 days of receiving the approval. It may be noted that under the 1956 Act, a time limit of 30 days was provided from the receipt of the approval of the Central Government. It may be noted that under the 1956 Act, there was a requirement to file the amended article along with a copy of the order of the Central Government only when an alteration to articles had the effect of converting a public company to a private company. However, it is pertinent to note, any alteration of articles requires the consent of the members by special resolution under section 31 of the 1956 Act and pursuant to s. 192 of the 1956 Act. All special resolutions are required to be filed with the Registrar within one month from the date of passing the resolution. To also note that section 14(2) of 2013 Act is not notified at the time of going to press. As per section 14(3) of the 2013 Act, any alteration of the article registered under section 14(2) shall, subject to the provisions of this Act, be valid as if it were originally in the articles. Section 14(3) of the 2013 Act corresponds to section 31(3) of the 1956 Act which provides the same effect and validity to the altered articles as if they were originally in the articles of association of the company. The 2013 Act, however, unlike the 1956 Act, does not explicitly mention that the altered articles would be subject to the same process of alteration by a special resolution as the original articles. Another difference between the 2013 and 1956 Acts lies in the fact that s. 31(3) of the 1956 Act dealing with alteration of article of limited and unlimited companies formed under the erstwhile 1857 and 1860 Companies Acts has been omitted from section 14 of the 2013 Act. The provisions related to section 14 of the 2013 Act in terms of its implementation are covered in the Companies (Incorporation) Rules, 2014 and they have been effective from 01-04-2014. Rule 33 should be read with s. 14 of the 2013 Act for conversion of a company from private to public or public to private. If a company is sought to be converted from public to private then approval of the Tribunal shall also be necessary. In both kinds of conversion approval of the Central Government is required. After receipt of approval, Form No. INC 27 along with a copy of the order and a printed copy of the articles is also required to be filed. Hence the said section read with the Rules requires filing of Form INC 27 twice, once for filing the application and another after obtaining the approval. For more details about Company Registration in Bangalore, kindly visit our site, and feel free to contact us. 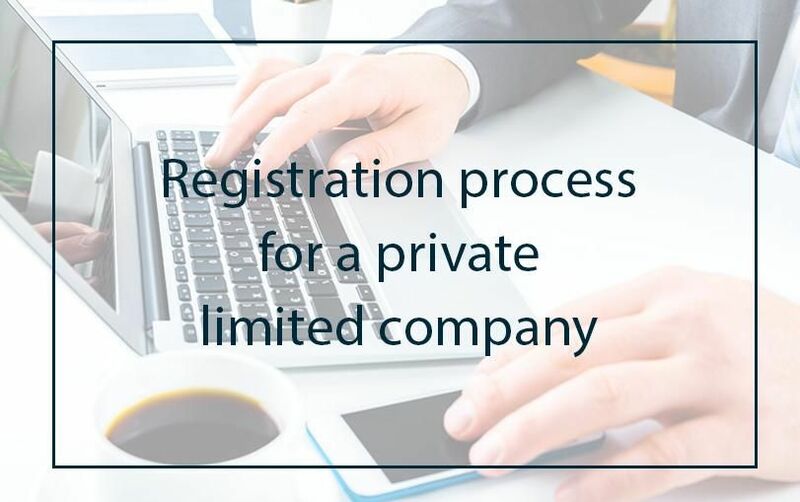 © New Business Registration 2019. Brilliance theme by CPOThemes.